I wrote a few days ago California’s first certified Passive House remodel coming on board in July. As Passive House design picks up momentum, I thought you might enjoy reading about other projects around the nation. Here is an article about a 1997 Portland based home that was remodeled to Passive stands in 2009. 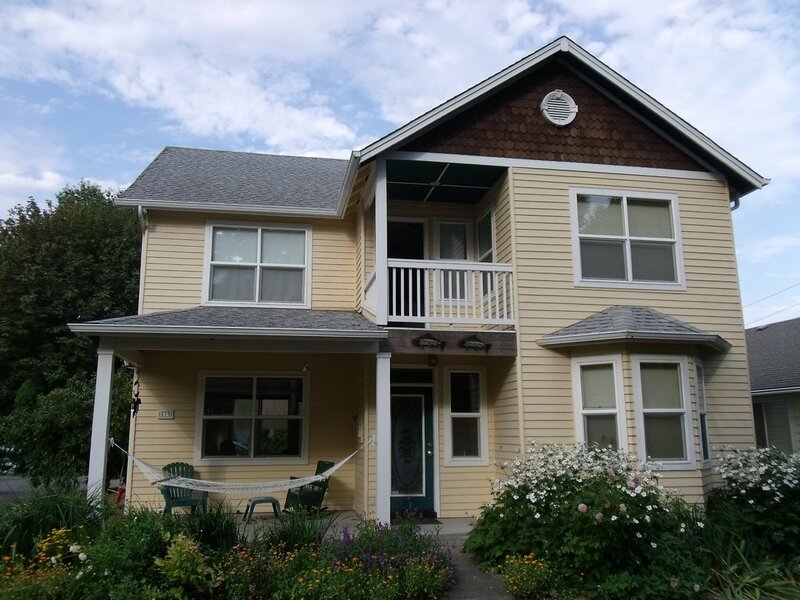 The Everhart’s 1997 home they retrofit to meet strict high-efficiency building standards.ln the summer of 2008, Tad Everhart decided to attend training at the Passive House Institute US in Urbana, Ill., to become certified as a passive-house consultant. Now, seven months since their September 2009 start date (after months of planning), the Everharts are well on their way to cutting the amount of energy their home consumes by 90 percent. The Everharts’ home and their story will be part of the Earth Day edition of “The Oprah Winfrey Show” on Thursday, April 22. In Portland, the show will air at 4 p.m. on KGW (8); broadcast information outside of Portland is available on Oprah’s Web site. They no longer have a furnace — the family alarm clock, Maria Everhart says — and rely on “internal” heat gains, a 2,000-watt radiator in the ceiling, and a small amount of hydronic heating from the existing natural gas water heater. The key to indoor comfort is a central ventilation system that expels warm, stagnant air through a heat-recovery ventilator, or HRV. Everhart’s HRV was shipped from the Netherlands; his super-insulated windows were manufactured by SeriousWindows, a company in the San Francisco Bay Area. The HRV works like this: Stagnant indoor air passes by incoming streams of fresh outdoor air, and the heat transfers to the fresh-air current without mixing the two streams of air. In addition to new windows, Everhart “coated” his home in 11-inch-thick walls created from Larsen Trusses he modified to hold sleeves of insulation made from recycled paper. Seven months into the project, Maria Everhart says the house is living up to their expectations. They always kept their house at 68 degrees, but now that 68 feels warmer. She laughs, knowing that sounds silly, but since there is less air movement, the house just feels cozier. It is also quieter, she says. Those thick walls have cut the noise from nearby Southeast Stark Street to nearly nothing. She says they have yet to be able to compare their costs year-to-year fairly — some windows remained plywood through the winter — and the attic and crawl space still need more insulation. The Everharts’ efforts to reduce their carbon footprint and live in a far more energy-efficient manner caught the attention of Oprah, who sent a crew to Portland earlier this month. For more information: Tad Everhart, Portland, tad.everhart@comcast.net, 503-239-8961; passivehouse.us Two previous stories in The Oregonian on Everhart and passive homes are on the Homes & Gardens Web page.